Not sure how. Not sure why. But we fall short of their greatness. When Peg and I spent a long weekend this summer in Vancouver, British Columbia (a place where I could easily live if I had to flee these United States), we decided that the only advantage we had over them were our curb cuts. Ours in SF were better by far. Hands down. But that was it. No crazy turnstiles or card readers in the SkyTrain stations. No long lines to navigate to exit or enter the platform. 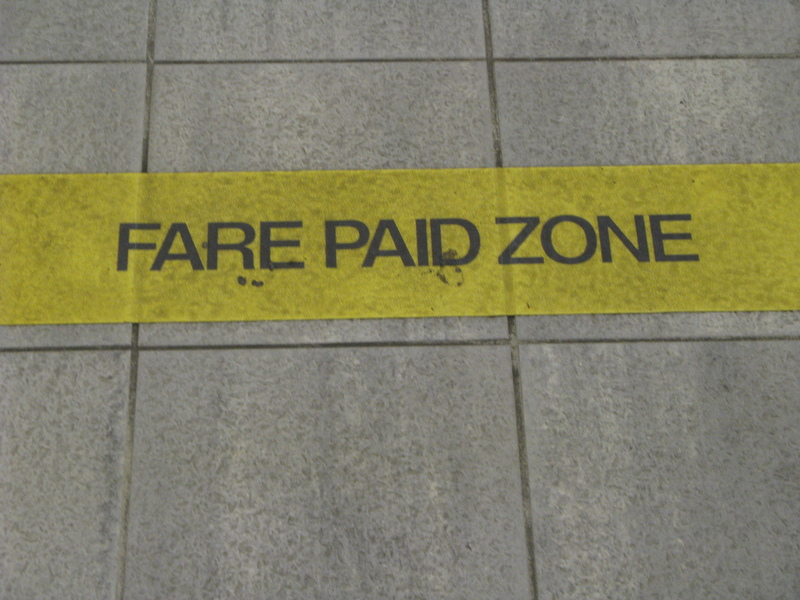 Just this yellow line on the floor delineating the Fare Paid Zone. How civilized is that? Tickets are sold at touch screen machines that take cash, debit or credit cards. Once you cross the line, you had best have proof of payment if asked. Or you risk a fine of $173. In SF, we have half of the system. But not the simple line on the floor. 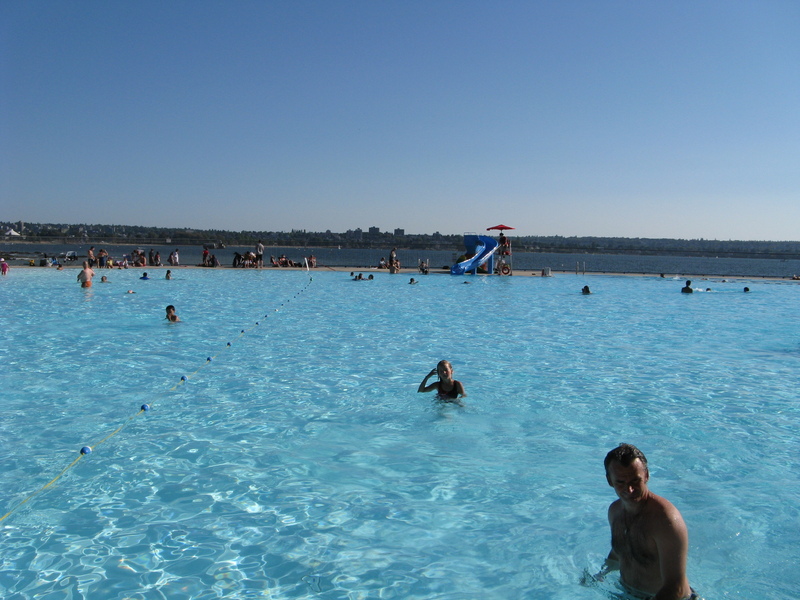 Vancouver hosts nine indoor public pools open year round from 6 a.m. to 9 p.m. Plus four outdoor public pools, The one we swam in, Second Beach Pool, in Stanley Park overlooking English Bay, can accommodate up to 2,400 people. And that isn’t even the biggest one. Size wise, the salt-water Kitsilano Pool dwarfs Second Beach. 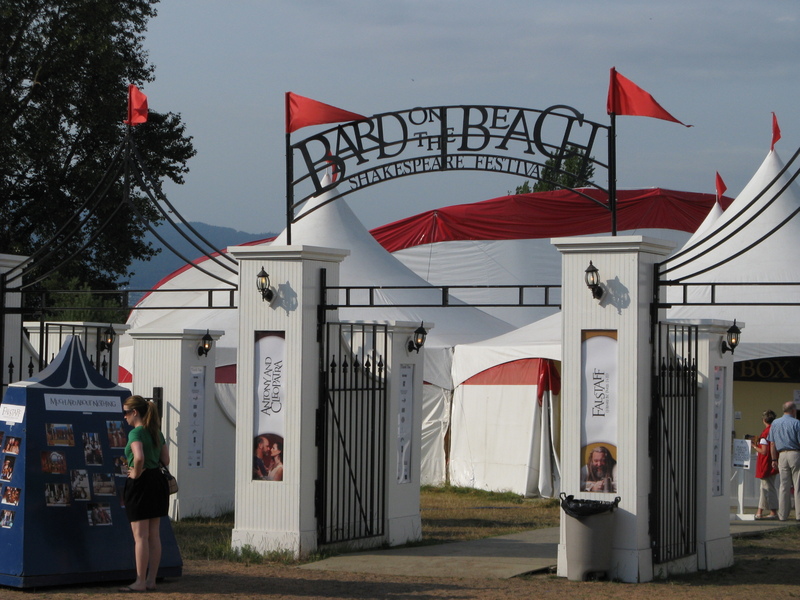 For 21 years, Bard on the Beach, one of Canada’s largest non-profit professional Shakespeare Festivals performs in a public park from June through September on two stages in climate-controlled tents. For four nights during the season, they extend the intermission to host an informal salmon barbeque served under the setting sun on the lawn, topped by desert and coffee after the performance with a spectacular Celebration of Light fireworks display (the largest fireworks competition in the world) watched by about 1.6 million people. See what I mean. Canada just does it better. Plus they don’t start wars as their noisy neighbors to the south do.